The building at Sheepdrove Organic Farm provides an excellent opportunity for versatile office space in open countryside, on the edge of Lambourn. The office is situated just over 15 minutes from Junction 14 of the M4 motorway, providing excellent links to further afield. 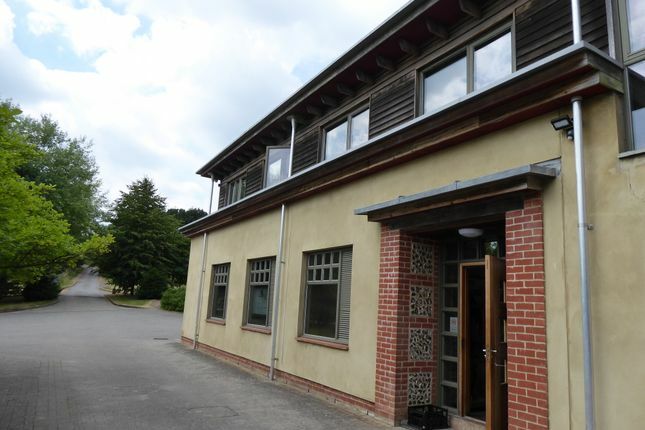 The office space to let at Sheepdrove Organic Farm is situated on the ground floor of a two storey building and accessed via a communal entrance hall and corridor. Accommodation includes a large open plan office space and a smaller separate office extending to 723.87ft2 (67.25m2) in total. In addition there are adjoining communal kitchen and toilet facilities. The office space is located within Sheepdrove Organic Farm & Eco Conference Centre, a venue for corporate events, business meetings and much more. The Property is to be let under the Landlord and Tenant Act 1954. Detailed terms are to be agreed between the parties, but it is envisaged that the agreement will be for an initial term of 2-3 years, at a fixed rent with no reviews, with the rent payable monthly in advance. The Landlord and Tenant will each pay 50% of the solicitor’s costs for the preparation of the Lease. A deposit will be required from the Tenant before the commencement of the Tenancy, equivalent to two months’ rent. The Tenant will be expected to take on the Property with Internal Repairing Terms. Any additional improvements carried out by the Tenant will be subject to the Landlord’s consent and at the Tenant’s cost. The Landlord will not pay compensation for these improvements at the end of the Tenancy. The Landlord will obtain the appropriate buildings insurance cover, which will be included in the rent. Access to the office space is available between 8am – 6pm, access outside these times may be available by agreement. There is ample parking within the main car park at Sheepdrove Organic Farm & Eco Conference Centre. A service charge of £150 per calendar month will be payable to the Landlord in addition to the rent to cover business rates, water, electric, drainage, heating, cleaning and upkeep of communal areas. The tenant will be responsible for telephone and internet charges. Viewing is strictly by appointment through the agents. Please telephone or email to make an appointment. When travelling to Sheepdrove Organic Farm using a Sat Nav, do not use the Conference Centre postcode. You must enter ‘Sheepdrove Road, Lambourn’. This will take you to the bottom of Sheepdrove Road. From there, follow the signposts to the Eco Conference Centre. Property descriptions and related information displayed on this page, with the exclusion of Running Costs data, are marketing materials provided by Webbpaton, and do not constitute property particulars. Please contact Webbpaton for full details and further information. The Running Costs data displayed on this page are provided by PrimeLocation to give an indication of potential running costs based on various data sources. PrimeLocation does not warrant or accept any responsibility for the accuracy or completeness of the property descriptions, related information or Running Costs data provided here.